Once upon a time, the difference in the rate between the Canadian and American dollar was significant. This worked to the American vacationer's advantage when visiting Canada. However, heavily-trafficked tourist destinations soon caught on and prices rose on the supply-demand principal. Today, the dollar value of the two countries has, for the most part, equaled out, making it easier to know what you're actually paying and simpler to figure out the currency rate. But being diligent with your money when traveling in Canada is still necessary for both a budget-friendly and safe vacation. Informing yourself with international money-savvy tips will help you comparison shop the best rates and know what to expect. Converting currency at an American bank before your trip gives you easy access to cash from the get-go. Plus, banks—both in the U.S. and Canada—will give you the most accurate exchange rate at any given time. Credit card companies use the bank exchange rate, as well. And the currency exchange right at the border also has reasonable rates. Currency-exchange storefronts (or brokers), however, often charge an extra fee for the service and have unfavorable exchange rates. These brokers are prevalent in tourist destinations and hold longer hours than a traditional bank, making it convenient to fall into their trap. Additionally, paying American dollars at restaurants and hotels can get you into trouble, too. As most have exuberant surcharges and, in some instances, create their own conversion rate for additional profits. 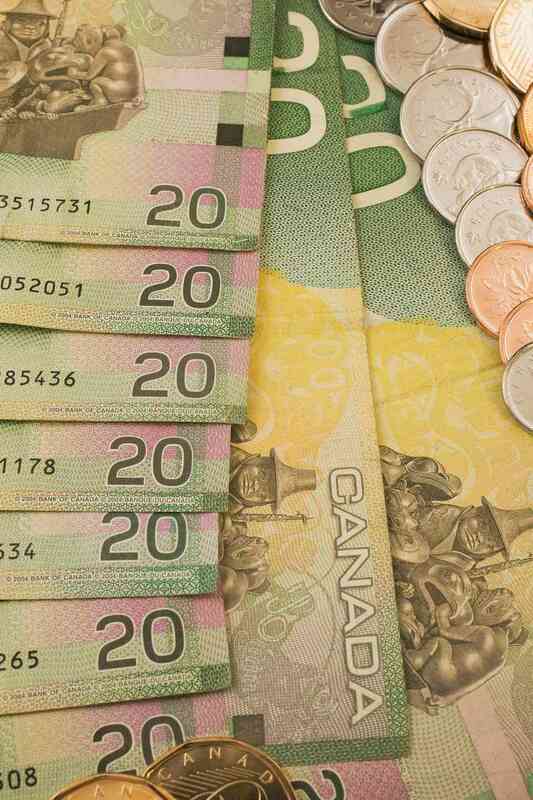 Currency denominations in Canada are similar to their United States counterpart except for the fact that dollar denominations under 5 dollars (2 dollars and 1 dollar) are represented in coins, rather than paper bills. The 2-dollar coin is larger than an American quarter and is silver with an inner ring of copper. The 1-dollar coin is about the same size as an American quarter, but is copper plated. Be aware of hotel rates when traveling to Canada, as you can run into currency conversion issues. If you are quoted an online rate in American dollars, be sure to pay online before you travel. If you make a reservation online yet don't pay until the end of your stay, you then leave the hotel to convert the quoted American rate into Canadian dollars. In this circumstance, the charge at checkout can come as a big surprise due to the hotel's calculation. It's best to pay ahead of time when you can. When converting currency at a Canadian hotel, the hotel will utilize their own conversion rate, which can vary greatly from a bank's and more closely match a broker's rate. Many hotels (including well-known United States chains like the Marriott) abuse the convenience and utilize a currency rate that grossly benefits their bottom line. For this reason, exchange your money before you check in. When traveling over the border, you might use your debit or credit card in the U.S. in the morning, and then use the same one in Canada in the afternoon. A delay in processing the charges, combined with the pattern of purchases between the two countries, may trigger your bank’s international fraud software. But don't be alarmed. While the bank may block your card temporarily—which can be pretty embarrassing when paying for a big meal at a restaurant—this is ultimately for your protection. To avoid the inconvenience, call your bank or credit card company ahead of time, alerting them that you will be traveling internationally and may use your card in two countries in one day. Then, also bring an alternative form of payment in the event this happens, then call your credit card company as soon as you get back to your hotel to release the hold. (Note: Chase VISA and Master Card customer service is not available 24 hours a day). Lastly, many restaurants in Canada display your entire credit card number on the printed receipt. So, be careful how you dispose of it to prevent the unlawful use of your credit card, should a thief stumble upon your receipt in the trash bin.